When a medical diagnosis, surgical procedure or a hospital treatment goes wrong, and the mistake or accident was due to incompetence or lack of judgement by a doctor, surgeon or healthcare professional; you need an expert team like Geoffrey Lurie Solicitors Newcastle to represent you. 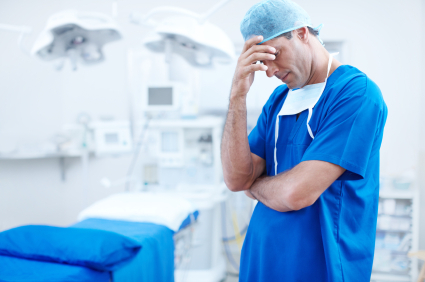 Medical negligence is a specialist area of law and should not be confused with other types of compensation claims. You may need a number of experts reports to establish ‘fault’ and /or ‘causation’ (that is did the negligent act cause your injury?). Speaking to a medical negligence solicitor in Newcastle will help you establish the feasibility of a medical negligence claim and guide you through the process. These are often very sensitive claims. We will handle your case in a sympathetic manner, listen carefully to what you want to achieve, and provide you with the best legal advice to meet your specific needs. No one should struggle to afford top-quality legal support when they need us. Hiring a lawyer can cost thousands of pounds and, with no guarantee you will receive compensation at the end of it, it’s a risk many victims of medical negligence are reluctant to take. We will help you decide whether or not to make a claim. If you choose to go ahead, we can pursue it for you under a No Win No Fee * agreement which means there would be no charge to you for the work we do if you were unsuccessful in your claim. Our medical negligence solicitors in Newcastle handle compensation claims on a no win no fee basis. These agreements (also called conditional fee agreements) mean that you don’t have to pay any lawyer’s fees upfront, nor do you have to pay them if your claim is unsuccessful. It means that if you don’t have access to a significant amount of money, or you don’t already have an insurance policy which will cover your legal expenses, you can still afford to seek justice and recover damages (or compensation) from the responsible party. We will discuss your funding options at the start of your claim. As we are the ones shouldering the financial risk of your claim, we will investigate the circumstances around your injury in detail, making sure there is a good chance of your application for compensation being successful. If so, we will offer to represent you on a No Win No Fee basis on the understanding that you pay a percentage of your total compensation as a “success fee”. You will need to take out an After the Event insurance policy to cover any of your opponent’s costs you may be liable for if you lose. This is a straightforward matter that we can advise on. If you win, your opponent will pay your legal costs, including any incidental costs like court fees or for medical reports. If you lose, we will waive your legal fees and an After the Event insurance policy will take care of everything else you are liable to pay, including your opponent’s legal fees and incidental costs. It really is that straightforward. Having a reputable medical negligence lawyer who works on a No Win No Fee basis can mean the difference between accessing the rehabilitative care you need, and struggling on long waiting lists where the goal posts for getting treatment seem always to be moving. In most cases the time limit to start proceedings in court (set out in the Limitation Act 1980) is three years from what is known as the “date of knowledge” . This date could be when the negligence occurred, or much later when the harm becomes apparent. This can be difficult to determine but is very important to identify at an early stage. You may need your solicitor to help you work out this date, so it is best to get help as soon as you are able. Minors under 18 have three years starting from their eighteenth birthday to bring court proceedings. The claim can be started earlier by eg parents on behalf of the child. If at the time of the injury or negligence, the patient was suffering from a diagnosed mental illness, their limitation period of three years doesn’t start until the date that they are considered fully recovered. If the injury caused was brain damage or something similar which would mean an adult was not able to conduct their own affairs, there is no time limit. This is also applies to a child who would be unable to manage their affairs when they are older. Where the claimant is dead, either through the negligence or otherwise, the limitation for their family to start a claim is three years from the date of death. Alternatively, if they die while pursuing a claim, the family will have three years from this date to continue with the claim.